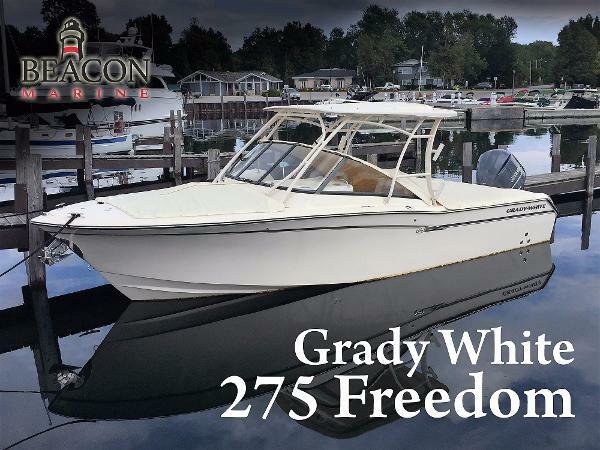 2016 Grady-White Freedom 205 This 20-foot dual console Freedom 205 so delighted it's New Purchase owners that within a few months, they decided to upsize! The Freedom 205 provides many of the amenities and look of larger boats, along with great riding, great performing family boat value. Super-comfortable seating fore and aft, as well as an enclosed head compartment, means all day comfort aboard this Grady-White standard-setter. The stable, Grady-White signature hull design slices through the water cleanly, regardless of the weather, making it the perfect choice for both open water and inshore. 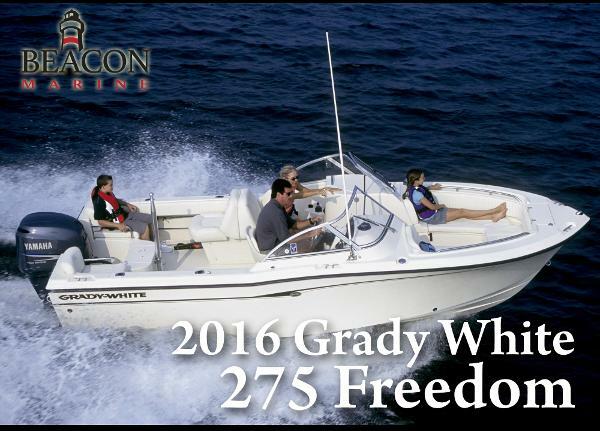 2016 Grady-White Freedom 205 Located at our Beacon Sister Bay Store - see Features and Added Options for details! This 20-foot dual console Freedom 205 so delighted it's New Purchase owners that within a few months, they decided to upsize! The Freedom 205 provides many of the amenities and look of larger boats, along with great riding, great performing family boat value. 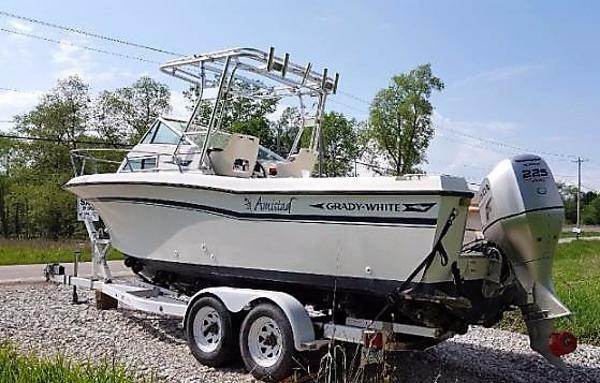 Super-comfortable seating fore and aft, as well as an enclosed head compartment, means all day comfort aboard this Grady-White standard-setter. 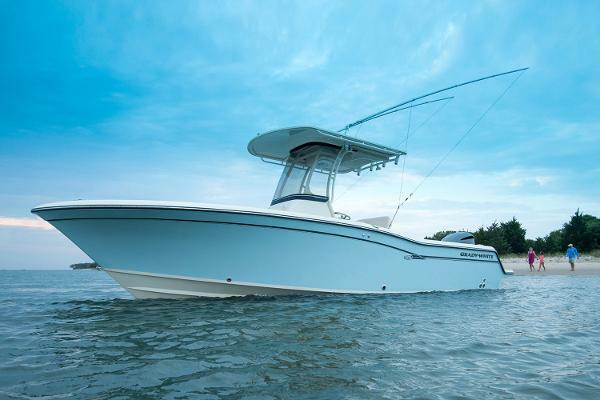 The stable, Grady-White signature hull design slices through the water cleanly, regardless of the weather, making it the perfect choice for both open water and inshore. 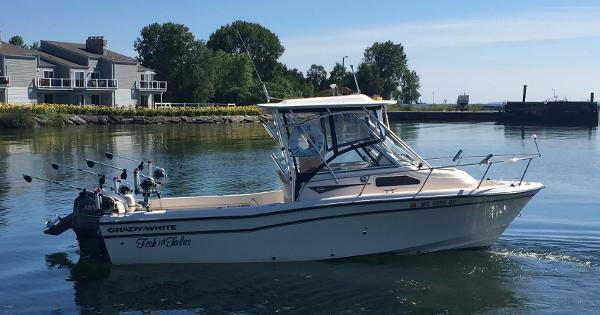 1987 Grady-White Offshore Pro 24 Grady-White has been a champion of fishing since day one! This tried and true Offshore Pro 24 is a top performer, and geared for great fishing. 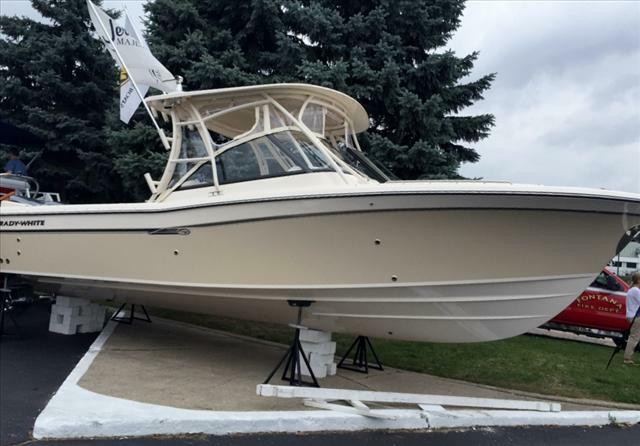 1987 Grady-White Offshore Pro 24 Grady-White has been a champion of fishing since day one! This tried and true Offshore Pro 24 is a top performer, and geared for great fishing. Located at our Beacon Two Rivers store - see Features and Added Options Included for more details! 2017 Grady-White Freedom 205 The 20-foot dual console Freedom 205 provides many of the amenities and look of larger boats, with great riding/great performing family boat value. Very comfortable seating fore and aft, as well as an enclosed head, means all day comfort aboard this Grady-White favorite.Perfect for open water and inshore.Packaged with Phoenix Custom Aluminum Tandem Axle Trailer with many extras, see "Features, Options & Upgrades" for more details! 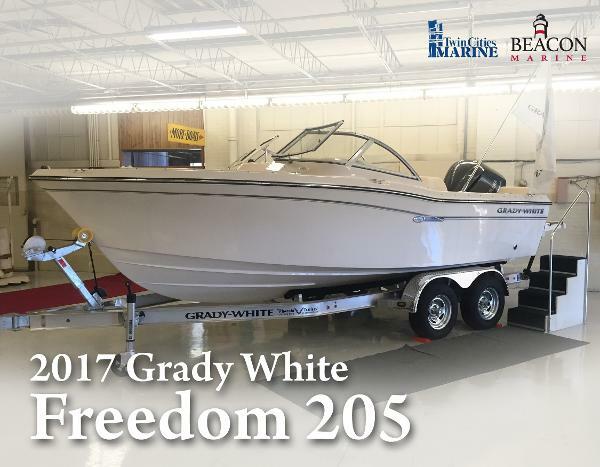 2017 Grady-White Freedom 205 Located at our Beacon Two Rivers store,see Features, Options, & Upgrades for details!The 20-foot dual console Freedom 205 provides many of the amenities and look of larger boats, along with great riding, great performing family boat value. Very comfortable seating fore and aft, as well as an enclosed head compartment, means all day comfort aboard this Grady-White favorite. Perfect for open water and inshore. 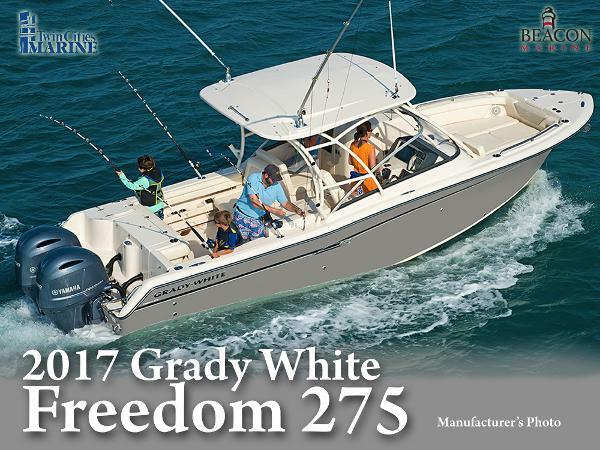 2016 Grady-White Freedom 275 Grady-White's signature hull design affords a masterful command of the water for a smooth, dry ride, with Yamaha-powered speed and elegantly responsive handling. Top-quality details pair with a thoughtful layout to accommodate everything from to-the-limit fishing to family outings to water sports, for day-tripping absolutely anywhere and for any reason or whim. 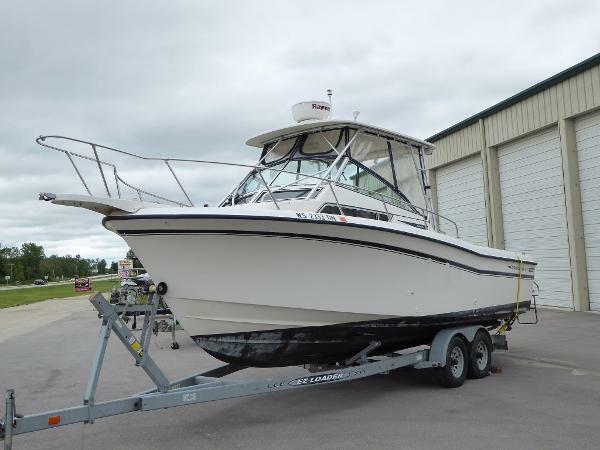 1992 Grady-White Dolphin 25 This highly sought after boat is on the market because the owner is getting out boating. It is in excellent condition and has always been in Freshwater. When you arrive in Sturgeon Bay to view this beauty, you will find that is has up to date electronics, auto-pilot, and two VHF radios. The canvas and cushions are in great shape, however the bolster cushions could use a little TLC. This boat also include a really nice Tandem Axle Trailer. 1999 Grady-White Islander 268 More photos soon!The Grady-White Islander 268 is a big, yet very trailerable, foam-filled and self-bailing walkaroundwith all the amenities of a cruiser forcomfortable weekend excursions.With Grady-White and Yamaha performancepaired with dependable longevity,lovingly cared for every single step of the way,out-performing the others in her class,this boat is a tried-and-true WINNER. 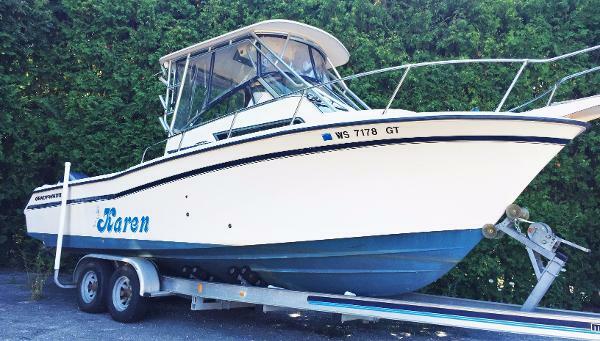 1993 Grady-White 252 Sailfsh Well maintained and many updates. 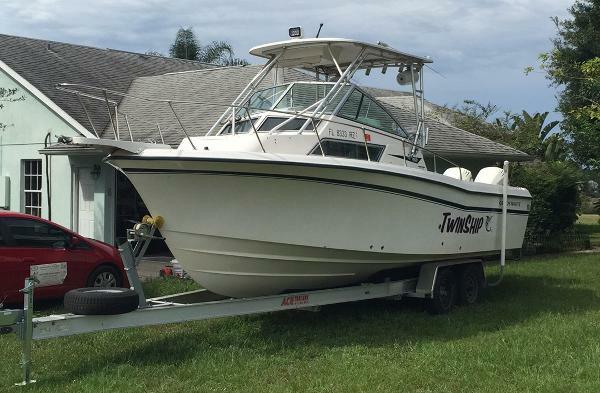 Dual 2000 Evinrude 225hp outboards and aluminum trailer included.